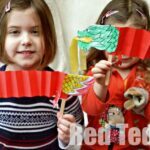 A quick, cheeky “extra” Round Up for you – Chinese New Year Crafts for Kids! (Yes yes, I know I say I do them monthly… but sometimes you have to just change the dates around a little, so everyone can make something!!). It is a shorter get crafty than usual, but hopefully full of inspiration. 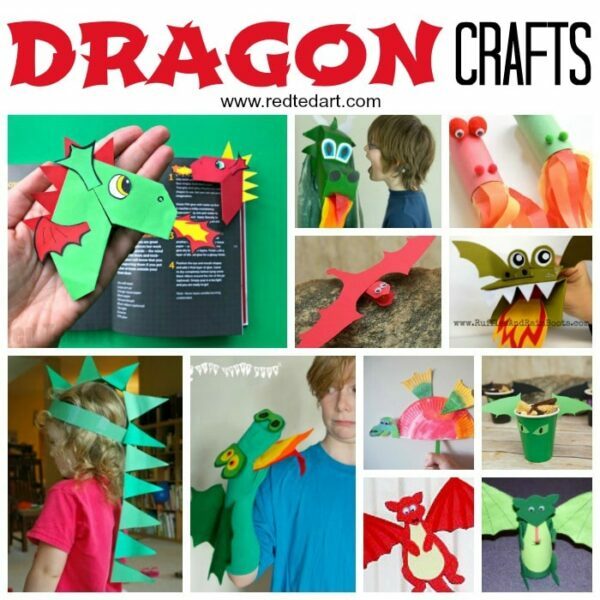 We love Dragon Crafts for Kids and feature many here today plus a great range of other Chinese New Year ideas. Chinese New Year is the most important festival in China – a literal translation is that it is the Spring Festival and the start of a new Zodiac year. Houses are cleaned out for a fresh start and entrances to the home decorated with red decorations that signify “good fortune” or “happiness”, “wealth”, and “longevity”. 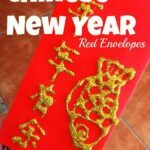 As general guide, Chinese New Year crafts are all about the auspicious colour Red, the colour of wealth Gold and Dragons – plus the 12 animals of the Zodiac. 2012 is the year of the Dragon.. so let’s see what we have! 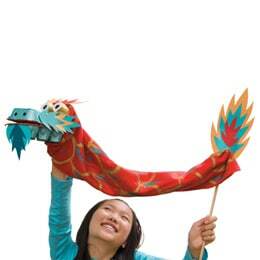 Make your dragon craft super easy with this Chinese New Year Dragon puppet. We have created a simple print out for you to make the craft fun and easy! 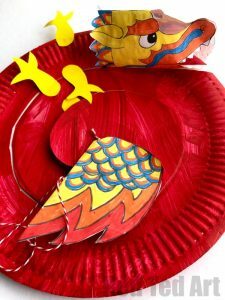 Super cute and fun, complete with printables this Paper Plate Dragon Whirligigs look fabulous and are oh so easy to make. 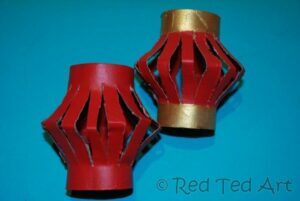 The perfect Chinese New Year decoration fort he classroom or at home!! Love. Great for preschoolers through to grown ups! 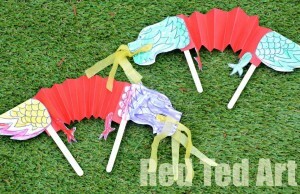 We ADORE these fabulous Dragon Corner Bookmarks for Chinese New Year. Promise they re super easy and of course fun to make. 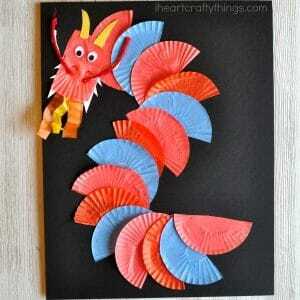 A great Dragon Paper Craft for Chinese New Year! 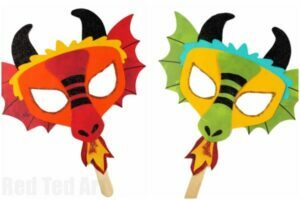 Or turn your little one INTO a dragon with these fun Dragon Masks. How fabulous. Perfect for celebrating Chinese New Year! 2013 is the year of the SNAKE. 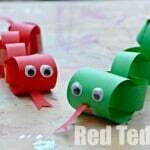 So we have this super cute paper chain Snake Craft – make it in an auspicious Red or green.. or both! Your choice. Check out how my 3yrs old managed! 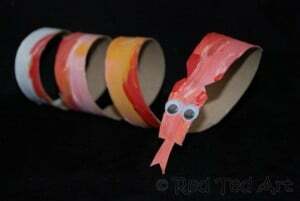 Or alternatively take the humble TP Roll (yes how we love TP Roll Crafts!) and make a snake craft out of that. Lots of fun and super frugal! 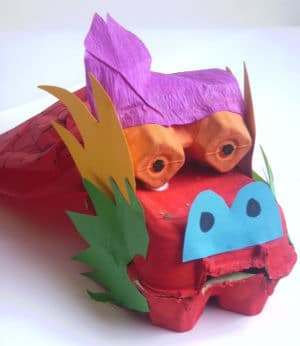 We do love a good recycled craft.. and this adorable dragon made from egg carton is no exception. 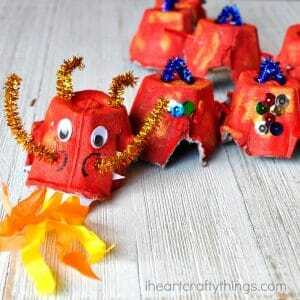 A fabulous Egg Carton Dragon from I Heart Crafty Things. Hop over and learn how to make it today! 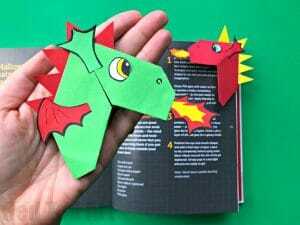 Or have a go at this gorgeously simple Dragon Art project. Use colourful cupcake liners to complete it. 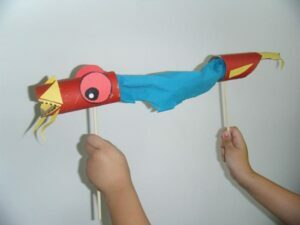 Find out more about this Dragon Craft for kids from I Heart Crafty Things. 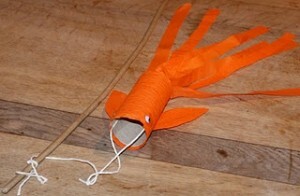 Or… step it up a notch and make a Puppet out of your egg carton dragon as per Family Fun! Simply gorgeous. Step by step guide and photos will help you along the way! The Chinese like to give money in red envelopes for prosperity and good luck. 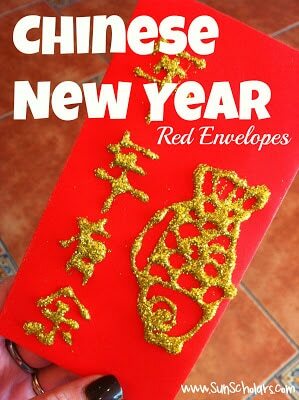 Have a go at making your OWN red envelops, beautifully decorated with this Chinese New Year craft. 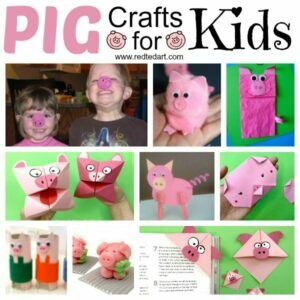 Such a fabulous Paper Craft for kids! 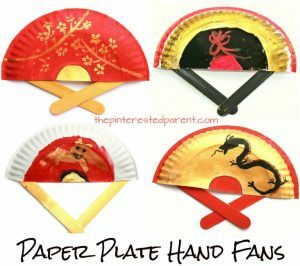 A great idea is to combine paper plates with craft sticks to make these fabulous looking Chinese New Year fans! I love the combination of gold, red and black to give them that fabulous Chinese New Year look. More information and detailed photos on The Pinterested Parent! 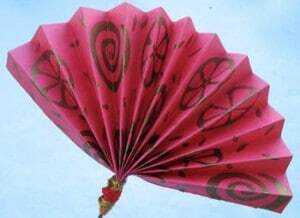 Nothing quite like a simple Chinese Fan! I thought the “materials needed” section make this sound terribly complicated.. I am sure you can make equally pretty fans with less “things”…. e.g. use a gold pen instead of stamps or cut out gold paper. The ideas is from Craft Kaboose. 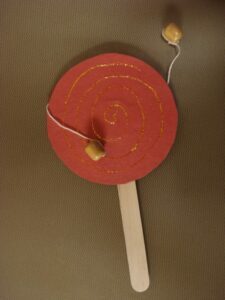 Make your own drum to ward off the evil spirits – this one is made from an old CD (so you get a nice bit of noise) and beads. So easy and fun! From St Louise Public Library Parents (go the library!!). Oh my. 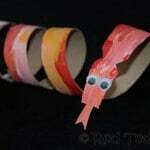 I am getting Cardboard Tube envy, as the self crowned Cardboard Tube Queen, I wish I had thought of this fabulous dragon puppet. I LOVE IT! Learning We Like came up with the idea. So cute! Lightly Enchanted sure enchanted me, when they made these adorable Goldfish out of my favourite Cardboard Tubes! I think they look ADORABLE and I can just imagine these fluttering in the breeze. They are fabulous. 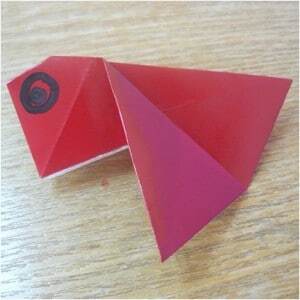 Start your children on their first origami animal with these adorable little cute goldfish. I always mean to try out more origami. These would look great as a mobile. And if you fancy some “fancy origami” paper and don’t have any, check out my free printables page with links to designs to print off at home! Crafty Crafted has a step by step guide! And another craft that makes my mummy heart melt… look at this adorable dragon’s body is made up of the children’s handprints. How cute is that. Certainly a new one for the “hand craft drawer”. Baabaabeep and her wonderful children enchant us! I remember making these as a child for “Carnival Day” (February). They are really easy to make and fun. And look great if you make lots to hang up together. 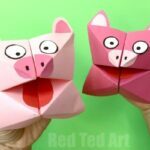 These are super easy to make and great for practicing cutting skills. So make a Chinese Lantern today! 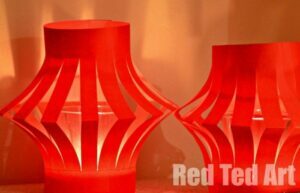 You can either pop a tea light in glass in the middle or add a little handle to the top for hanging. Or.. take the same humble lantern… and make them in smaller. 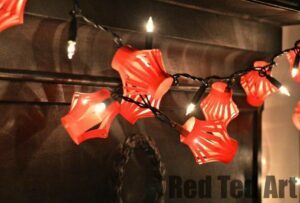 Then attach to fairy lights. They look soooo lovely. 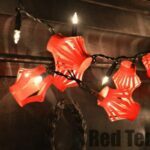 Chinese Lantern Fairy Lights post. 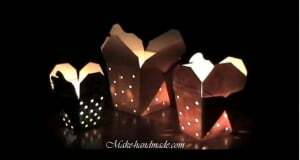 A super lovely twist on the traditional lantern craft. Or back to our favourite TP Roll Crafts – make lanterns out of those! Again, fun and frugal. Check out our TP Roll Lantern post for how to. 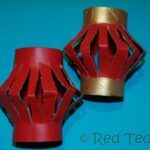 Ok.. not a “traditional” Chinese craft as such, but I just couldn’t resist – don’t these lanterns made from “take out boxes” simply look fabulous? The idea is from Make Handmade. I love it!! Did you know that Fortune Cookies are not really eaten in China?! They have more been “invented for the Wet”, never the less I think they make a fun addition to any Chinese New Year round up. From the AllRecipes website.. a recipe sharing fortune cookies with you. I have never made these before, but really do want to give them a go. Maybe there is time to make them for Red Ted’s nursery… mmmh. Yes, I think I will! 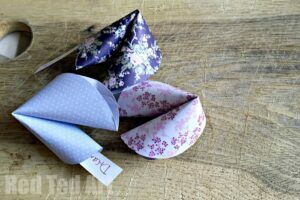 If the “real” edible Fortune Cookies proove a little difficult.. why don’t you make this much easier Paper Fortune Cookie version instead. Super fun and easy. LOVE Paper Crafts! 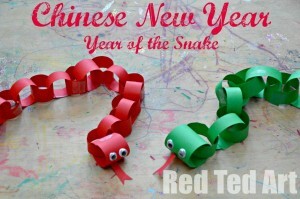 Have a VERY HAPPY CHINESE NEW YEAR and do try out some crafts! 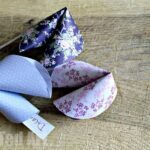 Ohh I will have a go at the fortune cookies with the kids, they look fab! We love Chinese new year! I have a fun poem/song for Chinese New Year to post this week. We\’ll have to try out one of these crafts to go with it! Oooh sounds lovely to have a song to go with the Chinese New Year! Have fun too! 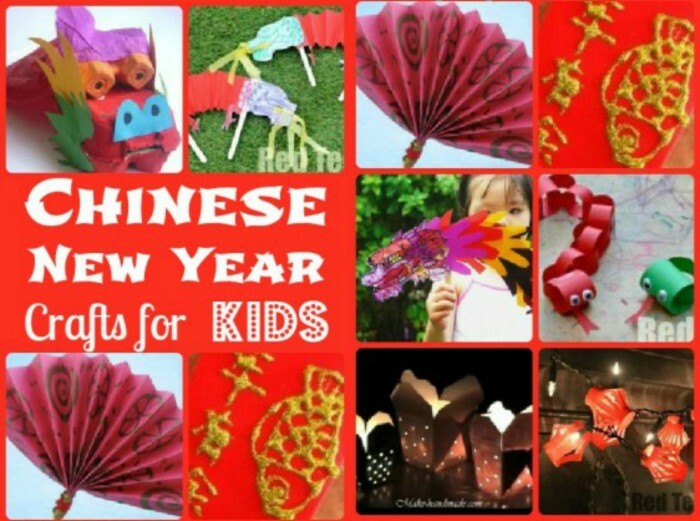 We\’re doing chinese new year on Friday in storytime at school. 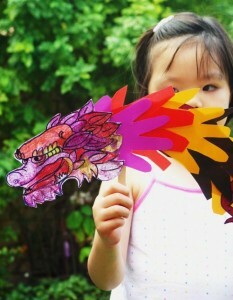 Making a dragon with crepe paper, and colouring in chinese paper money to put in red envelopes. Have some lovely books to read of course too! Sounds perfect! Would love to hear what books you have? Love Chinese New Year. It\’s so close to Christmas and New Year this time round that it feels like one long feasting event!! Oooh, I like how simple the drums are…we made spin drums for New Years and they were a bit more complicated. awesome ideas shared. We didn\’t get to it this year but I am saving these for next year! 🙂 Pinning this! Oh hey it’s coming up Year of the Horse! The sock-headed hobby horse comes to mind, and TP roll horses, and adapting that great paper dragon puppet to being a horse…any other ideas? Thanks! Unfortunately it looks as if Family Fun has been closed and all links redirect to the Disney site! It is quite frustrating, as I have linked a number of their projects in the past! Sorry!! Love all of your Chinese New Year activities!! I recently shared this link with other Chinese families and they were really excited about all of the ideas!